In today’s fast-paced society, dealerships are faced with the difficult position of wanting to accept payments for their customers that are quick and simple. While at the same time providing the highest level of safety and security. 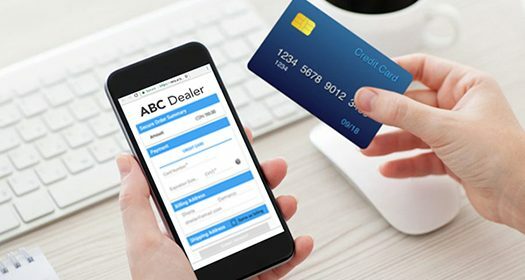 Dealers who take credit card payments over the phone can be victimized if they are not aware of fraud protection practices or are not abiding by Payment Card Industry (PCI) standards. In the case of credit card fraud, not only do the merchants lose the product sold, they are often required to pay back the funds to the financial institutions. Statistics show that card-not-present (CNP) transactions have a higher rate of fraud than card machine payments. CNP includes over the phone payments where the cardholder does not physically present the card to the merchant. Customers have come to expect secure transactions processed and authorized in real-time. Yet, many dealerships do not realize the risks involved when collecting sensitive payment card information over the phone. What would happen if your customers experienced identity theft and fraud that occurred as a result of doing business with you? Not only would you run the risk of losing that customer, you would have to convince your remaining customers that your dealership is a safe place to do business. If you can’t say yes to all of the above, then you need to STOP taking credit card information over the phone immediately and shut off your manual payment on your credit card terminals!It’s not a question of IF a credit card fraud will happen at your dealership, it’s a question of WHEN!. So, how can you identify a secure technology solution for processing payments over the phone? The answer is simply not to! Don’t write information down, don’t manually enter credit card numbers or store sensitive data at all. The best way to comply with PCI Data Security Standards is to remove that form of payment entirely. Technology solutions like Mobile Cashier, obtain real-time authorizations securely using a simple, safe and secure payment link. Send payment links by text or email so customers can pay directly from their mobile device or computer. No special software or App is needed. The secure payment link takes them directly to a Dealer-branded payment page to review their invoice summary and then proceed to the secure payment page where they need only enter their credit card and CV numbers. It’s that simple, that safe and that fast. Security Risk Bulletin: How are you obtaining your customer’s credit card information? Are your staff members taking credit card information over the phone? If they are, they could be putting your dealership at the risk of non-compliance with privacy laws, which could lead to fines and legal action. What happens to those jotted down credit card numbers, printouts and faxes? Will they be shredded or just thrown out? Customers are concerned about what happens to their credit card information and want to ensure it isn’t easily viewed or stored, which can put them at risk for credit card fraud. Within the privacy laws, the process for taking credit card information is stringent and can also be time-consuming. The credit card number must be filed in a secure location, either in a safe or under lock and key. 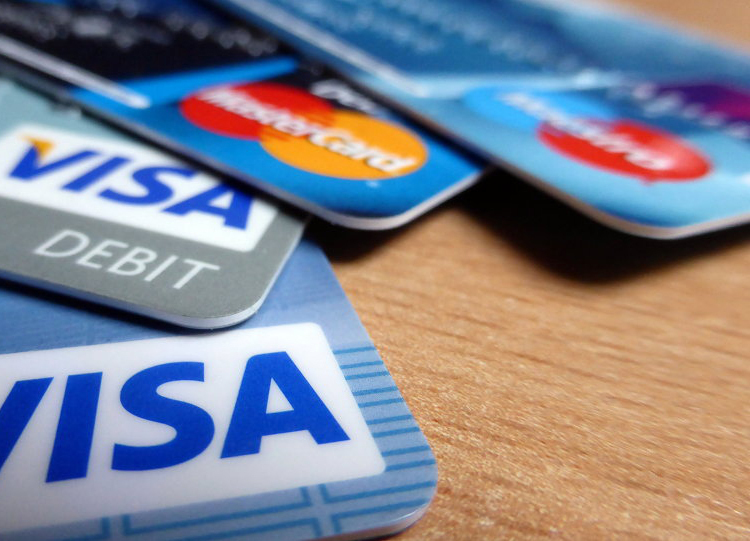 Credit card numbers must not be stored electronically. Once the customer relationship is finished, the credit card number needs to be shredded. Are all these security steps taken at your dealership? If you’ve answered ‘no’ then it’s time to rethink your process! Stay compliant with credit card privacy laws with a streamlined, automated secure payment process. Mobile Cashier gives staff the power to create and send custom payment links to any customer by text or email, thus connecting them securely to your dealer-branded payment portal. 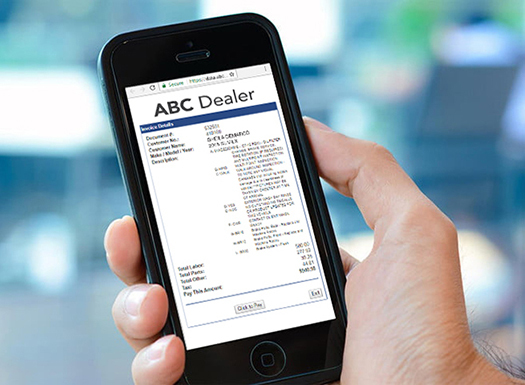 Dealers can use it for collecting any type of payment, such as: service invoices, vehicle deposits, parts deposits, and even receivables collection. Customers can pay in seconds from any mobile or PC-based browser. No more faxes or giving credit card numbers over the phone, no more waiting, and zero security risks. Improve customer convenience and satisfaction as well as help protect your business and your customers. With Mobile Cashier, your customers can be assured of using a secure, safe and quick method of payment for any of their transactions at your dealership. By using Mobile Cashier, your staff need not write down and store credit card details, and your customers can feel safe knowing that their private credit card information is not stored or easily viewed. Plus the added convenience of being able to pay online streamlines the process for both your dealership and the customer, putting that valuable time back in their hands. With Mobile Cashier by VenueVision, dealerships can offer easy mobile payment options for customers on the go. VenueVision Media Systems, which provides high-impact, real-time digital media solutions to automotive dealerships, has just launched Mobile Cashier, an express e-payment solution for parts and service departments. Customers get dealer-branded notifications of repair completion along with a copy of their invoice on their smartphone, tablet or PC. This notification link allows customers to review and pay for their repair in advance of picking up their car. Once a service repair is complete and ready for pick-up, the customer is automatically notified by email or text. The notification contains an invoice and a link to the dealer-branded payment page. This page is pre-populated with the customer’s name, invoice number and invoice amount. The secure payment portal prompts the customer to enter credit card information. The transaction is then completed and notifies the dealer’s cashier of confirmed payment. The customer receives a text or email confirming payment and picks up their vehicle when convenient. 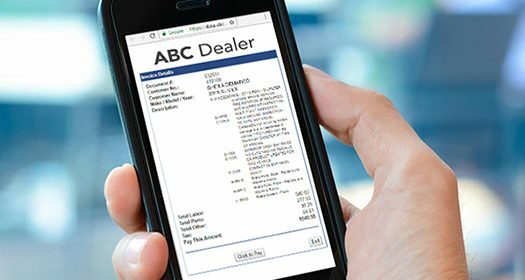 Customers can access the dealer-branded Mobile Cashier dashboard from any mobile or PC-based browser without specialized hardware or software requirements. On the backend, Mobile Cashier is fully integrated with VenueVision’s service applications, enabling it to complete transactions in real-time. 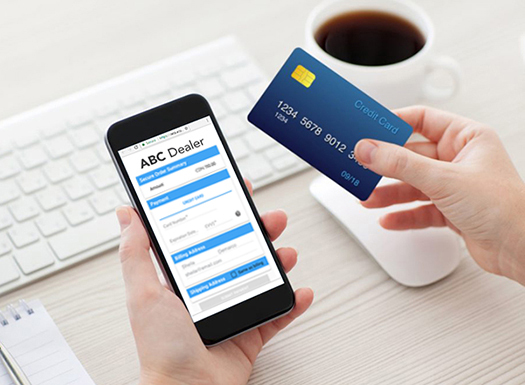 Mobile Cashier offers an exciting opportunity for automotive dealerships to improve the customer experience, hence positively impacting a customer’s service perception directly on their personal smartphones. With mobile payment, customers don’t have to rush to pick up their vehicles before the service department closes. Additionally, service cashiers get a break from the ‘5 pm rush’. Customers can pick up their keys at reception anytime before the dealership closes – their service is already paid for. It’s a value-added service that everyone will appreciate.